The 777 is produced in two fuselage lengths. The original 777-200 model first entered service in 1995, followed by the extended-range 777-200ER in 1997; the stretched 777-300, which is 33.3 ft (10.1 m) longer, began service in 1998. The longer-range 777-300ER and 777-200LR variants entered service in 2004 and 2006, respectively, while a freighter version, the 777F, debuted in 2009. Both longer-range versions and the freighter feature General Electric GE90 engines, as well as extended and raked wingtips. Other models are equipped with either the GE90, Pratt & Whitney PW4000, or Rolls-Royce Trent 800 engines. The 777-200LR ranks as the world's longest-range airliner and holds the record for longest distance flown by an unrefueled commercial aircraft, with the demonstrated capability to fly more than halfway around the world. 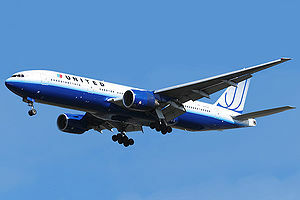 United Airlines first placed the 777 into commercial airline service in 1995. As of March 2011, 60 customers have placed orders for 1,209 aircraft of all variants, with 923 delivered. 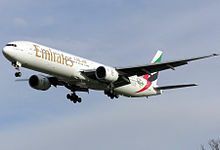 The most common variant used worldwide is the 777-200ER, with 415 aircraft delivered, and Emirates operates the largest 777 fleet, with 86 aircraft. The airliner has had one hull-loss accident as of 2011, with no passenger fatalities, attributed to a Trent 800 engine fuel component. Through the 2000s, the 777 has emerged as one of its manufacturer's best-selling models. Because of rising fuel costs, airlines have acquired the type as a comparatively fuel-efficient alternative to other wide-body jets and have increasingly used the aircraft on long-haul, transoceanic routes. Direct market competitors include the Airbus A330-300 and the A340, with the upcoming A350 XWB and Boeing 787 Dreamliner programs currently in development. In the early 1970s, the Boeing 747, McDonnell Douglas DC-10, and the Lockheed L-1011 TriStar became the first generation of wide-body passenger airliners to enter service. In 1978, Boeing unveiled three new models: the twin-engine 757 to replace the venerable 727, the twin-engine 767 to challenge the Airbus A300, and a trijet 777 concept to compete with the DC-10 and L-1011. The mid-size 757 and 767 launched to market success, due in part to 1980s Extended-range Twin-engine Operational Performance Standards (ETOPS) regulations governing transoceanic twinjet operations. These regulations allowed twin-engine airliners to make ocean crossings at up to three hours' distance from emergency diversionary airports. Under ETOPS rules, airlines began operating the 767 on long-distance overseas routes that did not require the capacity of larger airliners. The trijet 777 was later dropped, following marketing studies that favored the 757 and 767 variants. Boeing was left with a size and range gap in its product line between the 767-300ER and the 747-400. By the late 1980s, DC-10 and L-1011 models were approaching retirement, prompting manufacturers to develop replacement designs. McDonnell Douglas was working on the MD-11, a stretched and upgraded version of the DC-10, while Airbus was developing the A330 and A340. In 1986, Boeing unveiled proposals for an enlarged 767, tentatively named 767-X, to target the replacement market for first-generation wide-bodies like the DC-10, and to complement existing 767 and 747 models in the company lineup. The initial proposal featured a longer fuselage and larger wings than the existing 767, along with winglets. Later plans expanded the fuselage cross-section but retained the existing 767 flight deck, nose, and other elements. Airline customers were unimpressed with the 767-X proposals, and instead wanted an even wider fuselage cross-section, fully flexible interior configurations, short- to intercontinental-range capability, and an operating cost lower than any 767 stretch. Airline planners' requirements for larger aircraft had become increasingly specific, adding to the heightened competition among aircraft manufacturers. By 1988, Boeing realized that the only answer was a new design, which would become the 777 twinjet. The company opted for the twin-engine configuration given past design successes, projected engine developments, and reduced-cost benefits. On December 8, 1989, Boeing began issuing offers to airlines for the 777. The design phase for Boeing's new twinjet was different from the company's previous commercial jetliners. For the first time, eight major airlines - All Nippon Airways, American Airlines, British Airways, Cathay Pacific Airways, Delta Air Lines, Japan Airlines, Qantas, and United Airlines - had a role in the development of the airliner. This was a departure from industry practice, where manufacturers typically designed aircraft with minimal customer input. The eight airlines that contributed to the design process became known within Boeing as the "Working Together" group. At the first group meeting in January 1990, a 23-page questionnaire was distributed to the airlines, asking each what it wanted in the new design. By March 1990, Boeing and the airlines had decided upon a basic design configuration: a cabin cross-section close to the 747's, capacity up to 325 passengers, flexible interiors, a glass cockpit, fly-by-wire controls, and 10 percent better seat-mile costs than the A330 and MD-11. Boeing also selected its Everett factory in Washington, home of 747 production, as the final assembly site for the 777. On October 14, 1990, United Airlines became the 777's launch customer when it placed an order for 34 Pratt & Whitney-powered aircraft valued at US$11 billion with options on an additional 34. The development phase coincided with United's replacement program for its aging DC-10s. United required that the new aircraft be capable of flying three different routes: Chicago to Hawaii, Chicago to Europe, and non-stop from Denver, a hot and high airport, to Hawaii. ETOPS certification was also a priority for United, given the overwater portion of United's Hawaii routes. In January 1993, a team of United developers joined other airline teams and Boeing designers at the Everett factory. The 240 design teams, with up to 40 members each, addressed almost 1,500 design issues with individual aircraft components. The fuselage diameter was increased to suit Cathay Pacific, the baseline model grew longer for All Nippon Airways, and British Airways' input led to added built-in testing and interior flexibility, along with higher operating weight options for the basic aircraft. The 777 was the first commercial aircraft to be designed entirely on computer. Each design drawing was created on a three-dimensional CAD software system known as CATIA (Computer-Aided Three-dimensional Interactive Application), sourced from Dassault Systemes and IBM. This allowed a virtual aircraft to be assembled, in simulation, to check for interferences and to verify proper fit of the many thousands of parts, thus reducing costly rework. Boeing developed their own high-performance visualization system, FlyThru, later called IVT (Integrated Visualization Tool) to support large-scale collaborative engineering design reviews, production illustrations, and other uses of the CAD data outside of engineering. Boeing was initially not convinced of CATIA's abilities and built a physical mock-up of the nose section to verify its results. The test was so successful that additional mock-ups were canceled. The production process included substantial international content, with an unprecedented level of global subcontracting for a Boeing jetliner, exceeded only by the later 787. International contributors included Mitsubishi Heavy Industries and Kawasaki Heavy Industries (fuselage panels), Fuji Heavy Industries, Ltd. (center wing section), Hawker de Havilland (elevators), and Aerospace Technologies of Australia (rudder). An agreement between Boeing and the Japan Aircraft Development Corporation, representing Japanese aerospace contractors, made the latter risk-sharing partners for 20 percent of the entire development program. The initial 777-200 model was launched with propulsion options from three manufacturers, General Electric, Pratt & Whitney, and Rolls-Royce, giving the airlines their choice of engines from competing firms. Each manufacturer had agreed to develop an engine in the 77,000 lbf (340 kN) and higher thrust class (a measure of jet engine output) to power the world's largest twinjet. On April 9, 1994, the first 777, line number WA001, was rolled out in a series of 15 ceremonies held during the day to accommodate the 100,000 invited guests. 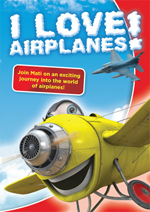 The first flight took place on June 12, 1994, under the command of chief test pilot John E. Cashman. This marked the start of an 11-month flight test program that was intended to be more extensive than that of any previous Boeing model. Nine aircraft fitted with General Electric, Pratt & Whitney, and Rolls-Royce engines were flight tested at locations ranging from the desert airfield at Edwards Air Force Base in California to frigid conditions in Alaska, mainly Fairbanks' FAI. To satisfy ETOPS requirements, eight 180-minute single-engine test flights were performed. The first aircraft built was used by Boeing's nondestructive testing campaign from 1994 to 1996, and provided data for the -200ER and -300 programs. At the successful conclusion of flight testing, the 777 was awarded simultaneous airworthiness certification by the Federal Aviation Administration (FAA) and Joint Aviation Authorities (JAA) on April 19, 1995. Boeing delivered the first 777 to United Airlines on May 15, 1995. The FAA awarded 180-minute ETOPS clearance ("ETOPS-180") for the Pratt & Whitney PW4084-engined aircraft on May 30, 1995, making it the first airliner to carry an ETOPS-180 rating at its entry into service. Longer ETOPS clearance of 207 minutes was approved the following October. The first commercial flight took place on June 7, 1995 from London Heathrow Airport to Dulles International Airport near Washington, D.C.
On November 12, 1995, Boeing delivered the first model with General Electric GE90-77B engines to British Airways, which placed the aircraft into service five days later. Initial service was affected by gearbox bearing wear issues, which caused the airline to temporarily withdraw its 777 fleet from transatlantic service in 1997. British Airways' aircraft returned to full service later that year, and General Electric subsequently announced engine upgrades. The first Rolls-Royce Trent 877-powered aircraft was delivered to Thai Airways International on March 31, 1996, completing the introduction of the three powerplants initially developed for the airliner. Each engine-aircraft combination had secured ETOPS-180 certification from the point of entry into service. By June 1997, orders for the 777 numbered 323 from 25 airlines, including satisfied launch customers that had ordered additional aircraft. Operations performance data established the consistent capabilities of the twinjet over long-haul transoceanic routes, leading to additional sales. By 1998, dispatch reliability figures had reached a 99.96 percent rate of takeoff without delay due to technical issues, and the growing number of fleet hours approached 900,000. After the initial model, Boeing developed the 777-200ER, an increased gross weight variant with greater range and payload capability. The -200ER first flew on October 7, 1996, received FAA and JAA certification on January 17, 1997, and entered service with British Airways on February 9, 1997. Offering greater long-haul performance, the variant became the most widely ordered version of the aircraft through the early 2000s. On April 2, 1997, a Malaysia Airlines -200ER named "Super Ranger" broke the great circle "distance without landing" record for an airliner by flying eastward from Boeing Field, Seattle to Kuala Lumpur, a distance of 10,823 nautical miles (20,044 km), in 21 hours and 23 minutes. From the start of the development program, Boeing had considered building ultra-long-range variants. Early plans centered on a 777-100X proposal, which would have been a shortened version of the -200 with reduced weight and increased range, similar to the 747SP. However, the -100X would have carried fewer passengers than the -200 while having similar operating costs, leading to a higher cost per seat. By the late 1990s, design plans shifted to longer-range versions of existing models. A more-powerful engine in the 100,000 lbf (440 kN) and higher thrust class was required, leading to active discussions between Boeing and the engine manufacturers. 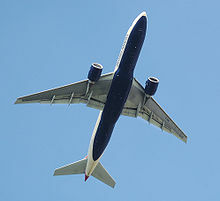 General Electric offered to develop the GE90-115B engine, while Rolls-Royce proposed developing the Trent 8104 engine. In 1999, Boeing announced an agreement with General Electric, beating out rival proposals. As part of the deal with General Electric, Boeing agreed that GE90 engines would be the only powerplants offered for new versions of the 777. 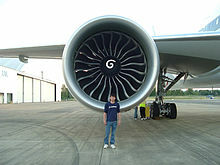 Picture - A GE90 engine mounted on a 777-300ER with a Boeing engineer to show the engine's size. Due to its size, the engine is capable of powering a Boeing 747 by itself. On February 29, 2000, Boeing launched its next-generation twinjet program, initially called 777-X, and began issuing offers to airlines. Development of the long-range models was slowed by the airline industry downturn, which lasted through the early 2000s. The first model to emerge from the program, the 777-300ER, was launched with an order for ten aircraft from Air France, along with additional commitments. On February 24, 2003, the -300ER made its first flight, and the FAA and EASA (European Aviation Safety Agency, successor to the JAA) certified the model on March 16, 2004. The first delivery to Air France took place on April 29, 2004. The -300ER, which combined the -300's added capacity with the -200ER's range, became the top-selling 777 variant in the late 2000s, gaining orders as airlines replaced comparable four-engine models with twinjets because of their lower operating costs. The second model to originate from the next-generation program, the 777-200LR, rolled out on February 15, 2005, and completed its first flight on March 8, 2005. The -200LR was certified by both the FAA and EASA on February 2, 2006, and the first delivery to Pakistan International Airlines occurred on February 26, 2006. On November 10, 2005, the first -200LR set a record for the longest non-stop flight of a passenger airliner by flying 11,664 nautical miles (21,602 km) eastward from Hong Kong to London. Lasting 22 hours and 42 minutes, the flight surpassed the -200LR's standard design range and was logged into the Guinness World Records. The next-generation freighter model, the 777F, rolled out on May 23, 2008. The maiden flight of the 777F, which used the structural design and engine specifications of the -200LR along with fuel tanks derived from the -300ER, occurred on July 14, 2008. FAA and EASA type certification for the freighter was received on February 6, 2009, and the first delivery to launch customer Air France took place on February 19, 2009. Initially second to the 747 as Boeing's most profitable jetliner, the 777 has since become the company's most lucrative model. In 2000, program sales accounted for an estimated US$400 million of Boeing's pretax earnings, US$50 million more than the 747. By 2004, the airliner comprised the bulk of wide-body revenues for the Boeing Commercial Airplanes division. In 2007, orders for next-generation 777 models approached 350 aircraft, and in November of that year, Boeing announced that all production slots were sold out to 2012. The program backlog of 356 orders was valued at US$95 billion at list prices in 2008. In the late 2000s, the 777 faced the possibility of increased competition from Airbus' planned A350 XWB and internally from proposed variants of the 787, both airliners that promise fuel efficiency improvements. As a consequence, the 777-300ER received an engine and aerodynamics improvement package for reduced drag and weight. In 2010, the variant further received a 5,000 lb (2,300 kg) maximum zero-fuel weight increase, equivalent to a higher payload of 20-25 passengers; its GE90-115B1 engines received a 1-2.5% thrust enhancement for increased takeoff weights at higher-altitude airports. More design changes were targeted for late 2012, including possible extension of the wingspan, and more major changes were being considered, including a composite wing and new powerplant. Boeing plans to increase 777 production from the 5 aircraft per month in 2010 to 7 aircraft per month by mid-2011, and 8.3 per month by early 2013. According to industry reports, the aircraft may eventually be replaced by a new product family, the Boeing Yellowstone 3, which would draw upon technologies from the 787. Boeing introduced a number of advanced technologies with the 777 design, including fully digital fly-by-wire controls, fully software-configurable avionics, Honeywell LCD glass cockpit flight displays, and the first use of a fiber optic avionics network on a commercial airliner. Boeing made use of work done on the cancelled Boeing 7J7 regional jet, which utilized similar versions of the chosen technologies. In 2003, Boeing began offering the option of cockpit electronic flight bag computer displays. In designing the 777 as its first fly-by-wire commercial aircraft, Boeing decided to retain conventional control yokes rather than change to sidestick controllers as used in many fly-by-wire fighter aircraft and in many Airbus airliners. Along with traditional yoke and rudder controls, the cockpit features a simplified layout that retains similarities to previous Boeing models. The fly-by-wire system also incorporates flight envelope protection, a system that guides pilot inputs within a computer-calculated framework of operating parameters, acting to prevent stalls and overly stressful maneuvers. This system can be overridden by the pilot in command if deemed necessary. The 777's wings feature a supercritical airfoil design that is swept back at 31.6 degrees and optimized for cruising at Mach 0.83 (revised upward after flight tests to Mach 0.84). The wings are designed with increased thickness and a longer span than previous airliners, resulting in greater payload and range, improved takeoff performance, and a higher cruising altitude. Folding wingtips were offered when the aircraft was launched, to appeal to airlines who might use gates made to accommodate smaller aircraft, but no airline purchased this option. The airframe incorporates the use of composite materials, which comprise nine percent of its original structural weight. Elements made from composite material include the cabin floor and rudder. The main fuselage cross-section is circular and tapers rearward into a blade-shaped tail cone with a port-facing auxiliary power unit. The aircraft also features the largest landing gear and the biggest tires ever used in a commercial jetliner. Each tire of a 777-300ER six-wheel main landing gear can carry a load of 59,490 lb (26,980 kg), heavier than other wide-bodies such as the 747-400. The aircraft has triple redundant hydraulic systems with only one system required for landing. A ram air turbine, a small retractable propeller, which can provide emergency power, is also fitted in the wing root fairing. The 777 interior, also known as the Boeing Signature Interior, features curved panels, larger overhead bins, and indirect lighting. Seating options range from six abreast in first class up to 10 across in economy. At 15-inch (380 mm) by 10-inch (250 mm), the windows were the largest of any current commercial airliner until the 787. The cabin also features "Flexibility Zones", which entails deliberate placement of water, electrical, pneumatic, and other hook-ups throughout the interior space, allowing airlines to move seats, galleys, and lavatories quickly when adjusting cabin arrangements. Several aircraft have also been fitted with VIP interiors for non-airline use. Boeing engineers designed a new hydraulically damped toilet seat cover hinge that closes slowly. In 2003, Boeing introduced overhead crew rests as an option on the 777. Located above the main cabin and connected via staircases, the forward flight crew rest contains two seats and two bunks, while the aft cabin crew rest features multiple bunks. The Signature Interior has since been adapted for other Boeing wide-body and narrow-body aircraft, including 737NG, 747-400, 757-300, and newer 767 models. The 747-8 and 767-400ER have also adopted the larger, more rounded windows of the 777. C-market: 7,800 nautical miles (14,400 km). When referring to different variants, Boeing and airlines often collapse the model number (777) and the variant designator (-200 or -300) into a truncated form (e.g. "772" or "773"). The International Civil Aviation Organization (ICAO) aircraft type designator system adds a preceding manufacturer letter (e.g. "B772" or "B773"). Subsequent to the capacity number, designations may or may not append the range identifier (e.g. 777-300ER as "773ER", "773B", "77W", or "B77W"). These notations may be found in aircraft manuals or airline timetables. The 777-200 was the initial A-market model. The first -200 was delivered to United Airlines on May 15, 1995. With a maximum range of 5,235 nautical miles (9,695 km), the -200 was chiefly aimed at U.S. domestic airline operators. Nine different -200 customers have taken delivery of 88 aircraft, with 62 in airline service as of July 2010. The competing aircraft from Airbus is the A330-300. Picture - A Boeing 777-200 in Boeing's original livery. Note the insignias of the aircraft's firm customers under "Boeing 777". The 777-200ER ("ER" for Extended Range), the B-market version of the -200, was originally known as the 777-200IGW for its increased gross weight. The -200ER features additional fuel capacity and an increased maximum takeoff weight (MTOW) over the -200. Aimed at international airlines operating transatlantic routes, the -200ER's maximum range is 7,700 nautical miles (14,300 km). In addition to breaking the eastbound great circle "distance without landing" record, the -200ER also holds the record for the longest ETOPS-related emergency flight diversion (177 minutes under one engine), on a United Airlines flight carrying 255 passengers on March 17, 2003, over the Pacific Ocean. The first -200ER was delivered to British Airways on February 6, 1997. As of March 2011, -200ER deliveries to 33 different customers numbered 415, ranking the -200ER as the most widely produced variant of the twinjet to date. As of July 2010, 434 of the variant were in airline service. The competing aircraft from Airbus is the A340-300. The stretched 777-300 was designed as an A-market replacement for 747-100s and 747-200s. Compared to the older 747s, the stretched variant has comparable passenger capacity and range, and is designed to burn one-third less fuel and have 40 percent lower maintenance costs. The -300 features a 33.3 ft (10.1 m) fuselage stretch over the baseline -200, allowing seating for up to 550 passengers in a single class high-density configuration, an arrangement adopted for heavily-trafficked Japanese routes. Because of the aircraft's length, the -300 is equipped with a tailskid and ground maneuvering cameras to aid pilots during taxi. The maximum range is 6,015 nautical miles (11,140 km), allowing the -300 to operate trunk routes previously flown by older 747s. The first -300 was delivered to Cathay Pacific on May 21, 1998. Eight different -300 customers have taken delivery of 60 aircraft, and all were in airline service as of July 2010. However, following the introduction of the longer-range -300ER in 2004, all operators have selected the ER version of the -300 model. The -300 has no direct Airbus rival, but the A340-600 is offered in competition. The 777-200LR ("LR" for Longer Range), the C-market model, became the world's longest-range commercial airliner when it entered service in 2006. Boeing named this aircraft the Worldliner, highlighting its ability to connect almost any two airports in the world, although it is still subject to ETOPS restrictions. It holds the world record for the longest nonstop flight by a commercial airliner, and has a maximum range of 9,380 nautical miles (17,370 km). The -200LR was intended for ultra-long-haul routes such as Los Angeles to Singapore, or Dallas to Tokyo. Developed alongside the -300ER, the -200LR features an increased MTOW and three optional auxiliary fuel tanks in the rear cargo hold. Other new features include raked wingtips, redesigned main landing gear, and additional structural strengthening. As with the -300ER and 777F, the -200LR is equipped with wingtip extensions of 12.8 ft (3.90 m). The first -200LR was delivered to Pakistan International Airlines on February 26, 2006. As of March 2011, nine different -200LR customers have taken delivery of 49 aircraft, with 6 unfilled orders. The closest competing aircraft from Airbus is the A340-500HGW. The 777-300ER ("ER" for Extended Range) is the B-market version of the -300. It features raked and extended wingtips, a new main landing gear, reinforced nose gear, and extra fuel tanks. The -300ER also has a strengthened fuselage, wings, empennage, and engine attachments. The standard GE90-115B turbofans are the world's most powerful jet engines in service, with a maximum thrust of 115,300 lbf (513 kN). The maximum range is 7,930 nautical miles (14,690 km), made possible due to a higher MTOW along with the increased fuel capacity. The -300ER can fly approximately 34 percent farther than the -300 with a full load of passengers and cargo. Following flight testing, the implementation of engine, wing, and weight modifications produced an added 1.4 percent reduction in fuel consumption. The first -300ER was delivered to Air France on April 29, 2004. The -300ER ranks as the best-selling 777 variant, having surpassed the -200ER in September 2010, and since its launch the model has been a primary driver of the twinjet's sales past the rival A340. Using only two engines produces a typical operating cost advantage of around 8-9 percent for the -300ER over the A340-600, along with a 20 percent fuel burn advantage over the 747-400. Several airlines have acquired the -300ER as a 747-400 replacement amid rising fuel prices. As of March 2011, -300ER deliveries to 24 different customers totaled 272, with 220 unfilled orders. Operators had 237 aircraft in service as of July 2010. The -300ER's direct Airbus competitor is the A340-600HGW. The 777 Freighter (777F) is an all-cargo version of the twinjet. It shares features with the -200LR, using its airframe, engines, and fuel capacity. With a maximum payload of 226,000 lb (103,000 kg), cargo capacity is similar to the 243,000 lb (110,000 kg) of the 747-200F. The freighter has a range of 4,900 nmi (9,070 km) at maximum payload, although greater range is possible if less cargo weight is carried. As the aircraft promises improved operating economics compared to existing freighters, airlines have targeted the 777F as a replacement for older freighters including the 747-200F and MD-11F. The first 777F was delivered to Air France on February 19, 2009. As of March 2011, 39 freighters had been delivered to eight different customers, with 44 unfilled orders. In the 2000s Boeing has also been studying the conversion of 777-200ER and -200 passenger airliners into freighters, under the name 777 Boeing Converted Freighter or 777 BCF. The company has been in discussion with several airline customers and looks to offer the conversion beginning in 2011. Fedex, UPS Airlines, and GE Commercial Aviation Services are some potential customers. The KC-777 is a proposed tanker version of the 777. In September 2006, Boeing publicly announced that it would produce the KC-777, if the United States Air Force (USAF) requires a larger tanker than the KC-767. The 777 tanker would also be able to transport more cargo or personnel. In April 2007, Boeing instead offered its KC-767 Advanced Tanker for USAF's KC-X competition. The customers that have received the most 777s are ILFC, Emirates, Singapore Airlines, Air France, and United Airlines. A total of 858 aircraft (all variants) were in airline service as of July 2010, with Emirates (86), Singapore Airlines (75), Air France (57), United Airlines (52), American Airlines (47), British Airways (46), All Nippon Airways (46), Japan Airlines (46), Cathay Pacific (34), Korean Air (26), Air India (23), Saudi Arabian Airlines (23), Thai Airways International (23), Continental Airlines (20), KLM Royal Dutch Airlines (19), Air Canada (18), and other operators with fewer aircraft of the type. Data through end of March 2011. Updated on April 15, 2011. As of April 2011, the 777 has been in seven incidents, including one hull-loss accident, with no fatalities among the passengers or crew. The only fatality involving the twinjet occurred in a refueling fire at Denver International Airport on September 5, 2001, during which a ground worker sustained fatal burns. The aircraft, operated by British Airways, suffered scorching of the wings and was repaired and put back into service. The type's only hull loss occurred on January 17, 2008, when British Airways Flight 38 (BA38), a Rolls-Royce Trent 895 engined 777-200ER flying from Beijing to London, crash-landed approximately 1,000 feet (300 m) short of Heathrow Airport's runway 27L and slid onto the runway's threshold. There were 47 injuries and no fatalities. The impact damaged the landing gear, wing roots, and engines, and the aircraft was written off. Upon investigation, the accident was blamed on ice crystals from the fuel system clogging the fuel-oil heat exchanger (FOHE). Air accident investigators called for this component on the Trent 800 series engine to be redesigned, and manufacturer Rolls-Royce said in March 2009 the new part should be ready within a year. Two other minor momentary losses of thrust with Trent 895 engines occurred in 2008. The National Transportation Safety Board (NTSB) investigators concluded that, just as on BA38, the loss of power was caused by ice in the fuel clogging the fuel-oil heat exchanger. 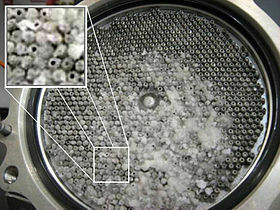 As a result, the heat exchanger was redesigned. Abarbanel, Robert; William McNeely (1996). FlyThru the Boeing 777. New York: ACM SIGGRAPH. 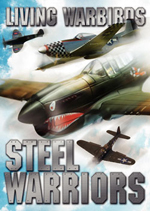 ISBN 0-89791-784-7. Birtles, Philip (1999). Modern Civil Aircraft: 6, Boeing 757/767/777, third edition. London: Ian Allen Publishing. ISBN 0-7110-2665-3. Eden, Paul, ed (2008). Civil Aircraft Today: The World's Most Successful Commercial Aircraft. 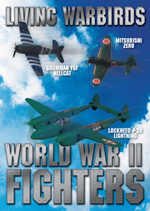 London: Amber Books Ltd. ISBN 1-84509-324-0. Norris, Guy; Mark Wagner (1996). Boeing 777. St. Paul, Minnesota: Motorbooks International. ISBN 0-7603-0091-7. Norris, Guy; Mark Wagner (2001). Boeing 777: The Technological Marvel. Minneapolis, Minnesota: Zenith Imprint. ISBN 0-7603-0890-X. Norris, Guy; Mark Wagner (1999). Modern Boeing Jetliners. Minneapolis, Minnesota: Zenith Imprint. ISBN 0-7603-0717-2. Wells, Alexander T.; Clarence C. Rodrigues (2004). Commercial Aviation Safety. New York: McGraw-Hill Professional. 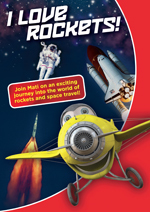 ISBN 0-07-141742-7.